Updata Partners. The cloud-based content experience platform leaped ahead of the competition, empowering B2B marketers to create personalized content experiences at scale. 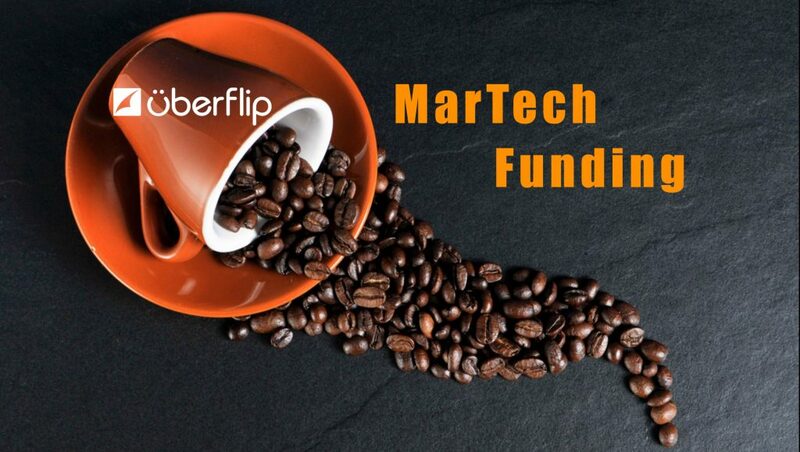 Uberflip’s CEO, Yoav Schwartz, spoke to us about the burgeoning martech space and how his company plans to enthrall their customers with cutting-edge marketing technologies that deliver results. Yoav, tell us about the latest Uberflip funding round? How did you prepare for it? We’re very excited. Uberflip is known in the tech community as a company that has achieved a lot, on very little – as we’ve mostly bootstrapped to this point. So to raise such a massive Series A, I think, speaks volumes not just to the business we’ve built, but more importantly, the category we helped create – Content Experience. In order to raise Growth Equity dollars, as a SaaS business, you need to reach a certain threshold in revenue. We had been preparing for that threshold for a couple of years and wasted no time going to market as soon as we approached it. How do you plan to extend the benefits of this Uberflip funding round to your customers? Customers are the biggest winners here. While we’ve gotten this far by being scrappy and lean, we now have the opportunity to invest further in product marketing, and category creation. I’m proud to say that our vision hasn’t changed for many years – now we simply have the resources to execute faster than ever before. What gaps would you look to plug in B2B vendor-customer management? How does the latest Uberflip funding empower you to plug this gap? With the rise of marketing initiatives like ABM (Account-Based Marketing), I think it’s more important than ever for marketing technologies to play nicely together. We support dozens of deep integrations into technologies like marketing automation. We’ll continue to invest in those areas as well as bridge the gap between campaign creation and distribution. For example, many of our customers leverage Uberflip to create deeply personalized experiences at scale for their target accounts, and then leverage technologies like Terminus to get those experiences in front of their intended audience. Making that transaction more seamless for the marketer is one example of how our platform will evolve. Which new technologies and markets would be aiming to grow this year? When it comes to content, the biggest problem marketers need to solve right now is figuring out what to do with the past 5-6 years’ worth of investment in content creation. Figuring out the customer’s experience of consuming that content is critical. We’re just starting to see brands shine a light on this by leveraging solutions like ours. I think you’re going to see a lot more innovation in content experience over the next couple years. How do you define ‘Customer Experience’ from a modern CMO’s perspective? I think most CMOs would agree that a great customer experience is a consistently amazing one. Consistency meaning that no matter when, where or what a brand puts in front of its buyers, the messaging, voice, and visuals are consistent. Content is a big part of that – blogs, videos, white-papers and social posts all need to feel like they’re coming from the same person. Couple that with a unique, personalized message and you have a world-class customer experience. What is the ‘State of Content Marketing Personalization’ for Sales Enablement? Sales enablement is going through a revolution. What was once all about how to get sales collateral in front of a prospect is now all about how to extend marketing’s effort and continue the conversation. And with so many individuals weighing in on every purchase decision, getting personal is key. BDRs/SDRs not only have to get one person’s attention but now almost seven! That means sending a great piece of content that appeals to one or two of those individuals simply isn’t enough. And then you have to factor in the stage of the prospect along the buyer journey – you don’t want to send sales collateral to a prospect that’s not there yet. It’s extremely complex and only getting more so. That’s a big reason why machine learning and NLP (natural language processing) is gaining so much attention right now. Personalization done at scale requires a helping hand from AI. What is your vision for Product Roadmap, Partnership Models and B2B Community engagement for 2018? How does it influence your branding? We’re continuing to invest heavily in our platform. Everything we build is on our own API, which means any partner or customer can extend Uberflip’s functionality beyond what they’re able to do in our backend application. 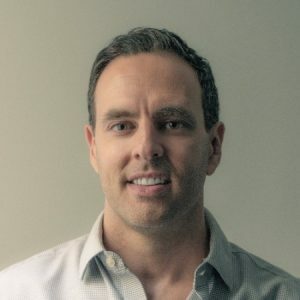 It’s a huge initiative but our hope is to build a world-class ecosystem for our partners and customers to build the future of content experiences, all on the foundation of our platform. Today, we market heavily to our end users – marketers. But we’ve started to invest in developer outreach and marketing since they’re the ones who build new functionality using our APIs. The ecosystem around content experience is big and continues to grow. Do you think, AI/ML would be a key driver for marketing and sales tech companies looking to scoop funding? I think AI is table-stakes for marketing and sales tech. We’re entering the AI generation of software because the speed of innovation and the amount of personalization required to be effective is simply too much for humans to do manually. But let me be clear on my position – AI is not a product, and positioning your company as an “AI for X” is a mistake. AI will be embedded in everything we use, and that point assumed. Every marketing and sales tech company I know has some component of machine learning or NLP baked in (or is furiously working on it). So, to answer your question, YES – if you want funding, you’ll have to show your AI game, but I don’t think it’s necessary (nor recommended) to position your company as an “AI product”.